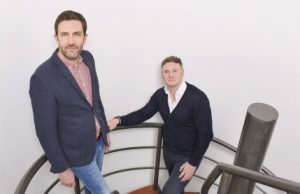 A customer generation and digital marketing business is looking to create 70 new jobs over the next three years after moving to bigger headquarters in West Yorkshire. Lead Tech, which was founded in 2008, currently employs 50 staff with a turnover of £4m. And after a move from Otley to its new 10,000 sq ft HQ at Pool Business Park in Pool-in-Wharfedale, it is now targeting a £16m turnover and 70 new jobs by 2019. The new roles will be across web-design, sales, digital marketing and customer support. Founders Nigel Borwell and Paul Walsh have recently concluded a business review and brought in a new management team with whom they have developed a three-year strategic growth plan. Walsh said: "We have eight successful years and strong fundamentals behind us, but recognised the need for change to really build on that and accelerate the rate of growth. "Our strategic review, the three-year plan and appointing a new management team were the first steps towards that growth, this move to new offices is the next." Lead Tech works with clients including RBS, Metro Bank, Hitachi, Tilney Bestinvest, Aldermore and St James Place. Borwell added: “The new offices are a statement of intent. They not only provide the additional space we need to grow, but the quality of the offices themselves has had a noticeably positive effect on the team.